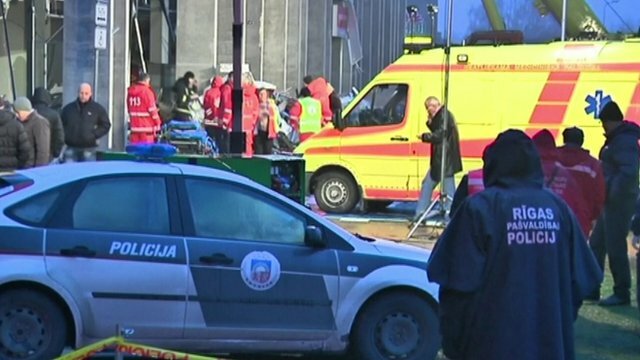 Rescuers search Latvia roof debris Jump to media player A supermarket roof has collapsed in the Latvian capital Riga, trapping some 50 people and killing at least three, reports say. 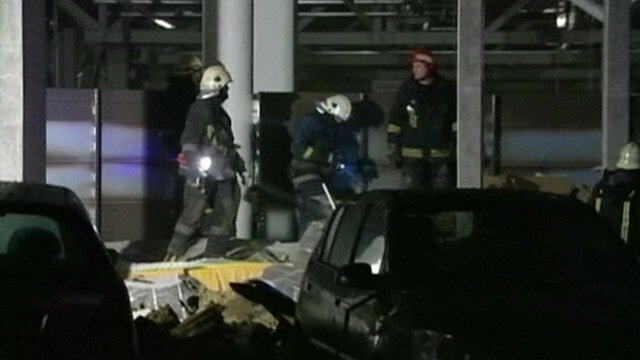 At least 51 people have died after the roof of a supermarket collapsed in the Latvian capital Riga. 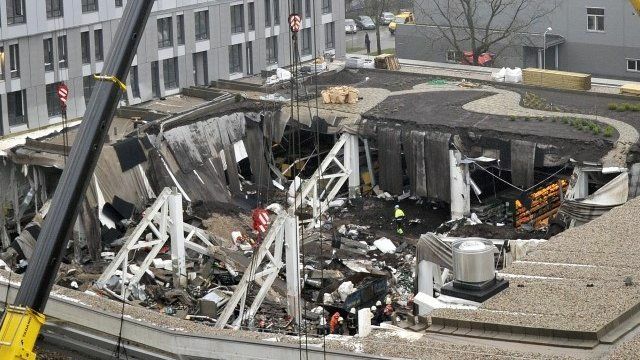 Rescue efforts are continuing and police have launched a criminal investigation. 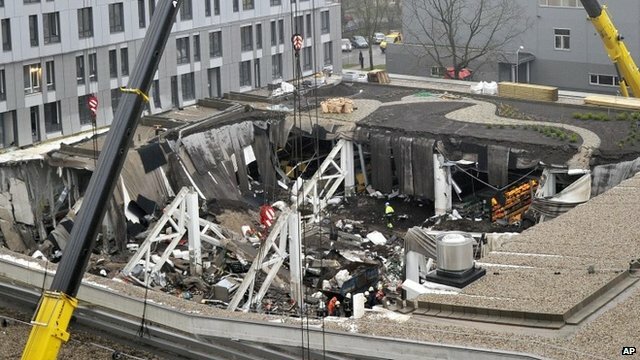 Three of those killed were emergency workers who were helping people trapped when more of the roof came down.